My name is Jagjit Singh, I am originally from London and lived there until I was 20 years old. I then moved to Yorkshire, where I am until this day, settled with my family. A. I have been in Sikhi for 25 years, and Guru Ji has blessed me to be part of many sangats worldwide. I am the Managing Director of the nursing home company and a construction company. We specialise in end of life cancer care, dementia care, brain injuries, palliative care, etc. It is a challenging role, but with Maharaj’s Kirpa, our home is one of the best in the UK. A. I have a daughter in her early teens, a son who is 10, a son who is 8 and another son who is six months old. Q. You have recently attended Khalsa Family Camp in the UK and Khalsa Camp in Australia. How do these benefit families? A. Engaging the sangat is essential. Only 10% of Sikhs attend sangat in Gurdwaras. As Sikhs, we have to join the other 90% as well. These camps are vital for bringing new souls into the Guru Khalsa Panth. As a parent, I recognise the power of visualisation. 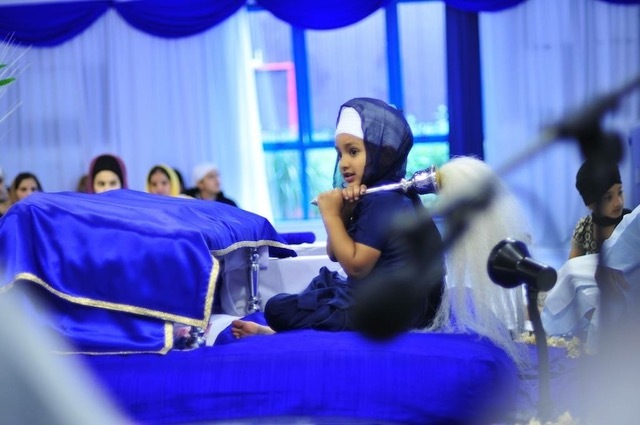 When a child goes into positive sangat of Gursikh souls and observes their love for Sikhi, it has a mighty impact on the soul of that child. We should never underestimate the effect of this. A. Sahib Siri Guru Granth Sahib Ji and my parents. Kirtan is the beat of my life. I kept my hair at the age of 18 after attending a Rainsbhai at Khalsa camp, since then I cannot imagine life without Kirtan. A. My father to me is a perfect role model. I have been very blessed. My father inspires me as a Gursikh, as a man, as a parent, as a community worker and as a businessman. He has so many virtues, and if I achieve only 10% of what he has, then I will be content. A. 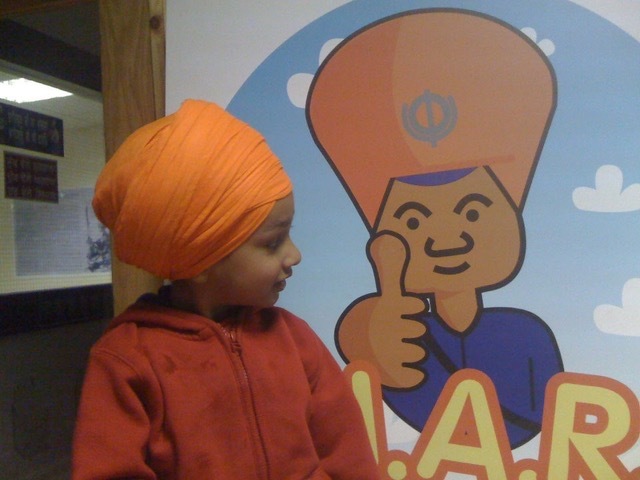 Yes, my wife has a firm Sikhi core belief which she has passed on to my children. She has taught them Sikhi values as human values. It is essential that we are decent, kind, humble, loving human beings who have a spiritual yearning. A. Remember to take time to hug your small child and do Saas girass simran; this creates an essential bond between two hearts becoming one. The best gift any parent can give his/her child is the gift to self-soothe via simran. This is a necessary skill for them to develop in life. A. To laugh and be happy. As you get to a certain age, it is easy to become too serious in life. My children always make me smile and laugh. The fact that they have such a happy childhood is very important to me. It shows me their souls are happy. A. Being inspirational parents is essential. Children naturally want to be inspired, but they recognise hypocrisy. The more a parent shows the Sikh values of love, humility, wisdom, patience, calmness, and warmth, the more a child responds. The way we communicate with children is essential to this relationship. Due to so many young Sikh parents feeling lost, 15 years ago I started doing a parenting talk. This has now evolved into a course, which has now been done on five continents. It is still my most popular talk. A. I have currently started working on a project which will significantly help a generation of young Sikhs. When it is completed, we will reveal it. But generally, I would advise dads to consider everyone in their house, not as their family, but as Gursikhs. Wash the dishes at home as you would do seva at the Gurdwara, take the dust of the shoes as you would in a gurdwara, be humble in your house as you would in a Gurdwara. When we realise, there are no chores at home, but only seva of other Gursikhs, we create an atmosphere at home which is a Gurdwara. A. I am not one for eating at restaurants, (no offence to Mr Singhs), mainly due to having so many good chefs at home. I would just give the pizza to a homeless person. Guru Maharaj has blessed me with so much. I have no yearning to meet anyone. When keertan is the beat of your soul, every day I talk to Guru ji, and I am content with what I have. A. There are so many; my children make me laugh every day. One particular story is Mahaveer Singh, at the time aged five years old, taking my place at a Panth Time event on Sikh channel TV sitting on the chair answering questions on Sikh matters. A. I realise that my real wealth is not my business or properties, it is not even my Sikhi. I consider my real wealth as the character of my children. If they have strong Sikhi core principles combined with a zest for life and passion in work, then I have succeeded as a parent. A. Many years ago, seeing one of my children very ill in a hospital. It makes one realise how powerless we are in the face of life and how vital ardas, hukamnama and simran are. As humans we think we have power, the reality is that we do not even have control over our own breaths. The nature of my work has often shown me why it is essential to have Guru ji at the centre of my life. It was a great experience for me to interview Jagjit Singh, I have been to many talks and lectures that he has delivered, and I have always admired how when he engages with people, it is with so much love and understanding. During the interview, there may have been some terms used that you are not familiar with, I have made a glossary below with a loose and basic translation of the words, please forgive any mistakes. I am sure we all wish Jagjit Singh the best of luck with his future projects, and lastly, I would like to thank him for taking the time out for Sikh Dad. Hukumnama – Random Shabad (hymn) selected from Sri Guru Granth Sahib Ji to then be followed as a command by the devotee. Khalsa Camp – A large gathering of Sikhs that typically spend a week in a resort location learning more about the Sikh faith and completing fun activities, these commonly take place all over the world. Kirtan – Singing God’s praises. Maharaj – A term used to refer to Sri Guru Granth Sahib Ji as the King. 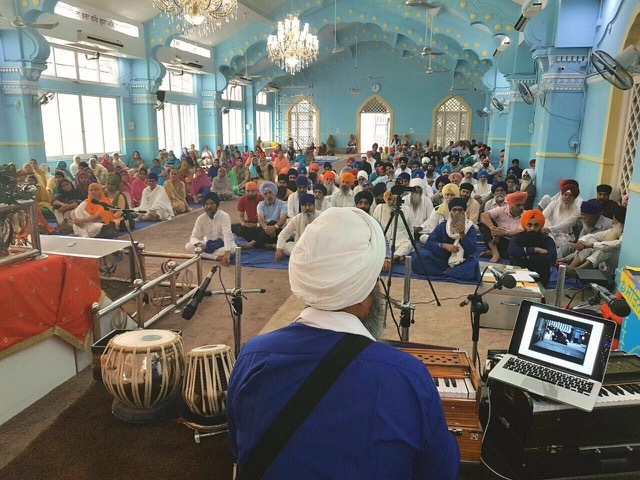 Rainsbhai – All night kirtan programme, these commonly take place in Gurdwaras all over the world. A. I am a community activist with Equality and Diversity at the forefront of everything I do. I am involved in community groups and communities across the South West and beyond. I currently work in the drug and alcohol sector as a support worker. I volunteer for a wide range of organisations and actively promote Vand Chaakna (to share with others), and I’m also the only Sikh at Plymouth City Council as a Labour Councillor since 2011, Former Deputy Lord Mayor 2012-13 and a Parliamentary candidate in the 2015 General Election. A. I have two children, a boy and a girl. Karan-Jeet Singh aged 19 and Amrit-Pali Kaur aged 21. He is studying Bio-Medical Science at Cardiff University, and she is studying Adult Nursing at Kings College London. You’re probably thinking you don’t look it. They are both focussed on their education at the time of writing this. A. It has to be my Father Sardar Ram Singh Ji, and sadly he passed away in 2007. A. Be proud and stand out from the crowd. A. Don’t give up. That sums up being in Chardi Kalah (high spirits) all the time. A. My wife Saranjit Kaur has taught me a lot about parenting. We are both positive role models for them. She doesn’t agree that I should charge them rent when they come home during the holidays. A. Time is precious because before you know it they’re off to University. A. They have dreams and aspirations, and we have to support them in achieving them. A. Encourage them to get additional support. In this day and age, there is so much out there like camps, after-school clubs and even Sikh schools. A. First and foremost – family. However, I’d share with anyone as its such a welcoming, friendly place with great tasting Pizza. A. When I moved to Plymouth, I became a Governor of the local school. My son who was aged six at the time must have heard and told everyone that his father worked for the Government. Look where I am now. A. Seeing my son the 1st Sikh Cadet aged 14 in Plymouth say the Kohima epitaph at the Armed Forces day event in Plymouth in front of 60,000 people. My daughter who became the 1st Sikh Corporal in the Air Training Corp as well. A. Seeing them go off to University and face the world. 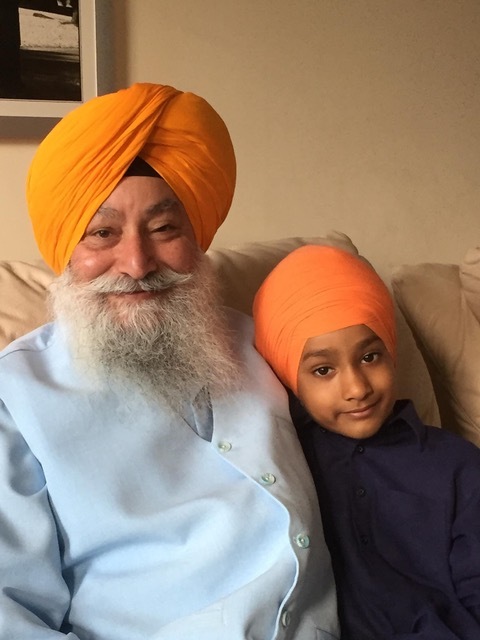 I thoroughly enjoyed interviewing Chaz Singh, as I was reading through his answers I found myself smiling at some of his humour, however, at the same time, I also learnt a lot from someone who has been a father for a lot longer than I have. 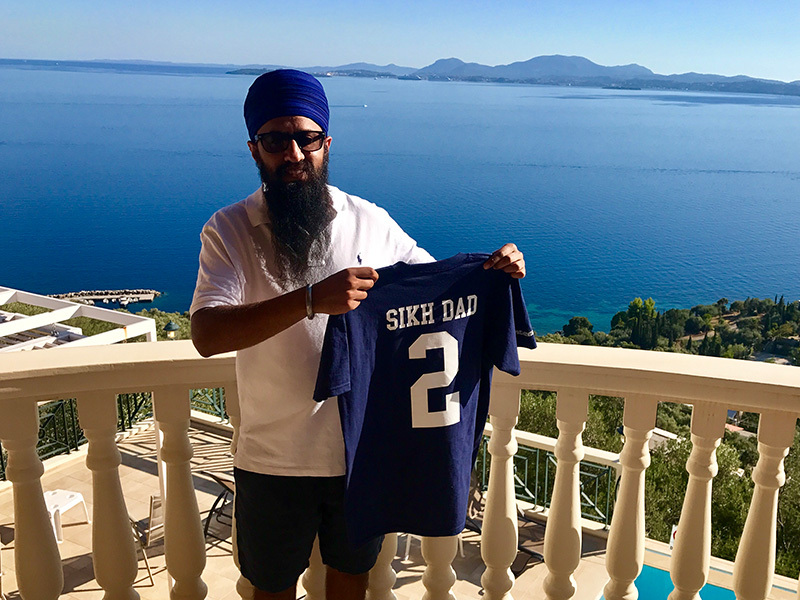 Special thanks to Chaz Singh for taking the time out for Sikh Dad and to Dom Moore for providing the photograph of Chaz.